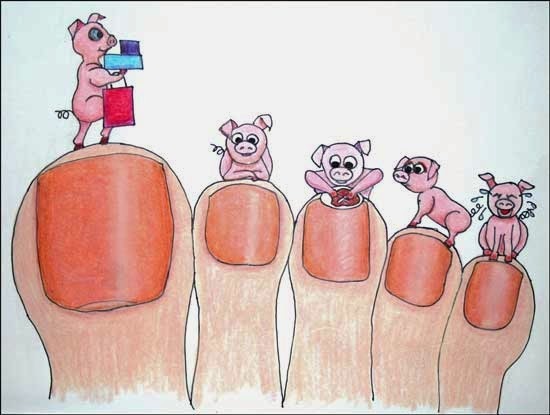 Developing last Friday’s blog post, Toe Lengths and You, I couldn’t help thinking of This Little Piggy, the nursery rhyme you recite while wiggling each of your toddler’s toes then tickling his or her foot. I’m almost certain my parents played that with me, but I don’t recall ever playing it with my daughter or son. As toddlers, they had more fun reading (e.g., Shakespeare), singing (e.g., polyphonic madrigals) and solving practical math problems (this preceded Common Core guidelines). All references I found to the rhyme’s origin reported nearly identical information. The earliest known printed version appeared in The Famous Tommy Thumb’s Little Story Book, published in London in 1760; however, the rhyme must have circulated well before that date. Its first line was quoted in a medley, The Nurse’s Song, written around 1728 and included by Allan Ramsay in the fourth volume of The Tea-Table Miscellany, published in 1740. 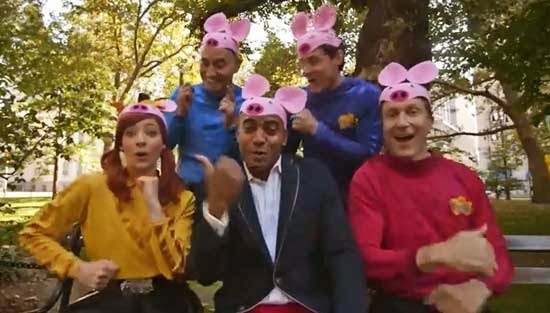 Although nursery rhymes of that era commonly conveyed historical events or were used to parody royalty or political events, This Little Piggy seems to have been a nursery rhyme pure and simple. With minor variations, the rhyme appeared in many late-18th and early-19th century collections.